As the Atlanta Braves made final plans to move to SunTrust Park, the legacy of Turner Field – which also played host to the 1996 Summer Olympic Games – was about to undergo its third rebirth or rebranding into a new football stadium for Georgia State. Construction and design for Georgia State’s new facility – just recently named in honor of Parker H. “Pete” Petit – required a dramatic transformation from a traditional baseball facility that housed the Atlanta Braves organization for 20 years into a 22,000-seat football facility for the Panthers. Over $20 million dollars went into the renovation that included reconfigured seating, new locker rooms, and concession stands. However, with the new configuration of the facility and change of seating, new directional signage was necessary for those visiting the stadium. 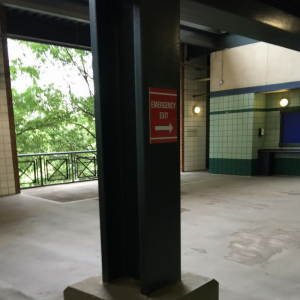 Additional wayfinding signage needed to be added for both safety and compliance before the inaugural competition. 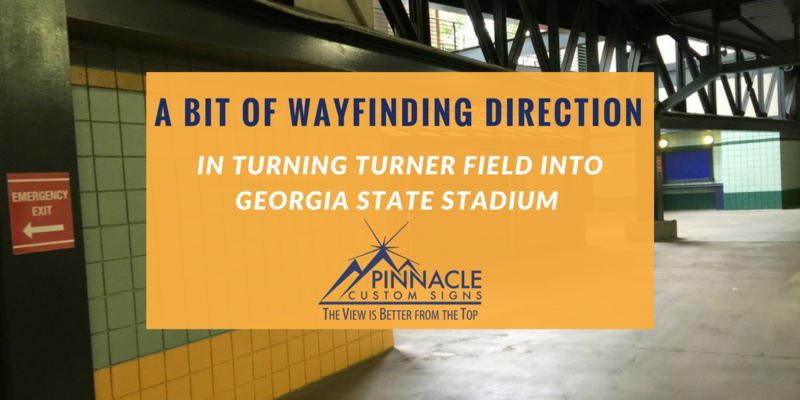 Pinnacle was contacted by the Director of Emergency Management to discuss the updates to the wayfinding signage for the reconfigured field. Our past experience with Georgia State already provided us with insights into how the school conducted the process for creating new signage. We began a 3-month process with the team to solidify the plans for emergency signage and direction of the sign placements. 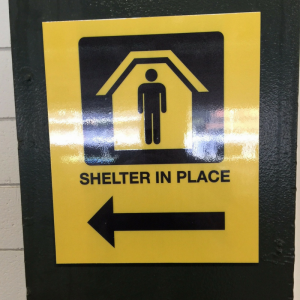 Pinnacle was asked to help provide signage at the stadium that would provide directions to emergency exits and safe shelters. 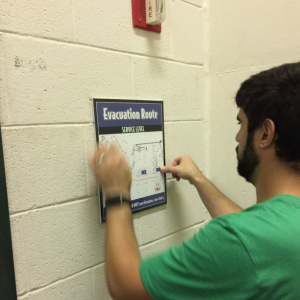 Josh, one of our designers on staff, spent weeks helping Georgia State design the evacuation maps for the stadium that would need to be installed at the elevator bays in order to direct patrons to exits in case of fire or inclement weather. Our team created the necessary directional signs to guide patrons to specific locations throughout the facility. This included pointing patrons to the nearest exits from their seats, to nearby concessions, and other key areas and amenities. 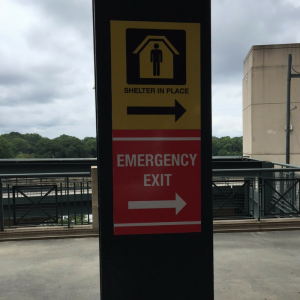 Several of the necessary wayfinding signage for GSU included yellow and black signs that identified safety shelters in case of severe weather. This job took weeks to come to fruition and days to complete the installation due to the size of the facility. However, it was a great experience for our team to assist one of our long-time clients in mapping and creating the graphics to ensure the safety of their guests for the new football facility. Adding effective wayfinding to a location is important because it is essential for people to make their way through public spaces. Utilizing proper wayfinding techniques improves efficiency, accessibility, and safety. It can also reduce anxiety by decreasing frustration, stress, late arrivals and time spent giving or looking for directions. To increase the chances of visitors having a great experience at your location, make navigating easy by providing clear directional signage. This will reduce frustration and lead to happier visitors. When your customers and guest enjoy the experience, it increases the desire to frequent that destination more often, and explore the location more thoroughly. 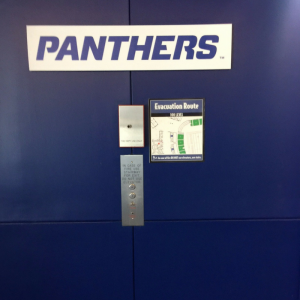 This was our first experience with providing wayfinding signage to a large stadium but not our first experience with providing wayfinding signage in large facilities. Wayfinding signage is found everywhere from street signs to bathroom directionals. Our team can help you walk your facility and identify key areas that will help your visitors locate key places within your facility. The key to wayfinding is in using symbols and text to clearly illustrate a path to find a destination. Symbols are what makes wayfinding signage so powerful because it relates powerful images that transcend language barriers. We are experts in helping you find the best locations and symbols to convey your message. Although the Georgia State Panther’s did not win their inaugural football game on Thursday, Aug. 31, against Tennessee State, we wish the Panther’s the best success in their new home. If you have a newly renovated location, we would love to speak with you about creating updated directional signage. Contact us today to schedule an onsite consultation about your facility.